This year's Fair will be held June 12th - June 18th. Admission this year will be $12.00 per person and will include parking, rides, shows and events. The fair association is hosting a family night on Wednesday, June 13th to support Need Line. 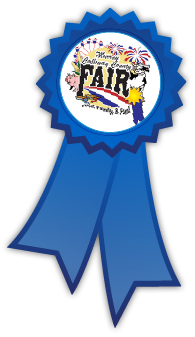 Fair Patrons can bring 2 canned goods per person to receive $2.00 off the price of admission. The fair will also giveaway two coolers. Everyone that has paid fair admission will have the opportunity to enter the drawing and you do not have to be present to win. The drawing will be held when the ticket booths close for the evening and is sponsored by Polaris of Benton. Also, Murray-Calloway County Fair is excited that Miller Spectacular Shows will be returning to our community. Check-out the "links" page to visit the Miller Spectacular Shows website. View Our 2018 Fair Booklet!